How much will I cry at the movie, Christopher Robin? If you are in love with the Winnie The Pooh stories you probably have been waiting in anticipation of the August 3 release of Disney’s Christopher Robin. But as any of us who love a classic story and hold the memories of how they affected us close to our hearts, we might have questions as to what the next story tellers are going to do to or take the story. Fear not! 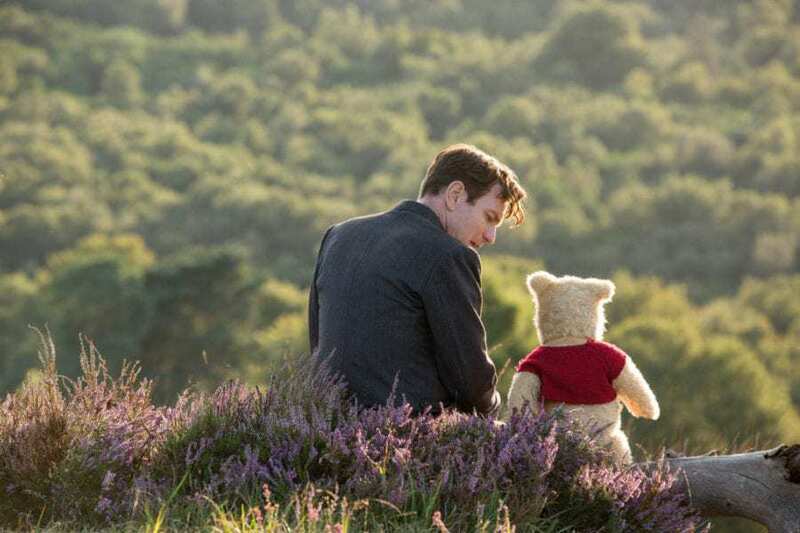 The Disney’s Christopher Robin honors the original story, has the touching Pooh Bear quotes and all the nostalgia you love. It is a natural continuation of the Christopher Robin stores. I won’t tell if you take in a few pieces of my Winnie The Pooh chocolate bark as a treat into the theater. Be sure to read my interview with Ewan McGregor The Voice Of Christopher Robin and see my experience being on the Christopher Robin Red Carpet. In Disney’s “Christopher Robin,” (played by Ewan McGregor) our beloved Christopher who has played in the Hundred Acre Wood with his band of stuffed animals, has grown up and lost his way as adults seem to do. Now it is up to his childhood fuzzy friends to take an adventure and come into our world and help Christopher Robin remember the loving and playful boy who is still inside. Now grown up, and with a wife and young daughter, Christopher Robin is stuck in a job where he is overworked, underpaid and facing an uncertain future. His work has become his life, leaving little time for his wife and daughter. Does this sound familiar to anyone? Christopher has all but forgotten his idyllic childhood spent with Pooh Bear and his other fuzzy friends. But when he is reunited with Winnie the Pooh, their friendship is rekindled, reminding Christopher of the endless days of childlike wonder and make believe that defined his youth, when doing nothing was considered the very best something. Following an unfortunate mishap with Christopher Robin’s briefcase, Pooh and the rest of the gang including Piglet, Eeyore and Tigger, step out of the forest and venture into London to return the crucial possessions…because best friends will always be there for you. How many tissues will I need to watch Christopher Robin? I saw tears falling on my colleagues as we watched the opening scenes. The music started and the tears came down. The flood of love for these characters came pouring out. There are many sweet moments that pull at your heart strings and want you to clutch your children closer with love and other moments that make you want to pull your own stuffed Pooh from the storage box. I would say bring 4 tissues if you are a cryer. Is there any violence in the movie Christopher Robin? There is not violence in this movie that involves weapons or blood. There is running into doors, light poles and the like. There is a scene where Christopher Robin ‘fights’ a Heffalump. It is all part of imaginative play and done in a child like manor. I would allow to my 5 year old niece to watch this film with out me in the room. Are the animals in Christopher Robin CG? Yes. Your favorite stuffed animal characters in the movie Christopher Robin are computer generated. But your kids will not see them as computer generated. They, and I, saw them as real. I kept having to tell myself that these creatures were not real. And then I had to tell myself to allow myself to believe that they were. And then the movie took on a whole other meaning.